Delay is being presented at Glasgow Zine Library on Saturday October 20 2018. The library has recently opened and an expanded and extended version of Delay will be presented at Glasgow Zine Library – with added puppets. 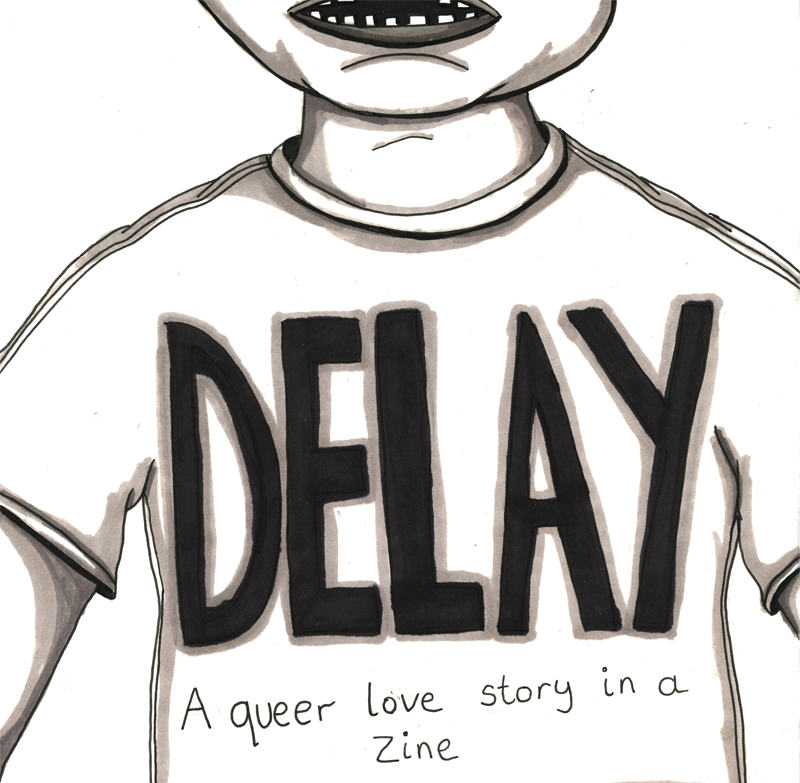 Delay is a show in a Zine . Delay is part of the Queer Art(ists) Now exhibition as part of the And What? Queer Arts Festival 2018. Delay will be at the Edinburgh Fringe on 15 August as part of the All These Things live art night at Zoo venues. The new version of Delay at All These Things from Leeds Live Art Bistro will feature lots of new images and an expanded version of the performance. All this will be in a zine that people can pick up at the event on August 15 at Zoo Southside during the Edinburgh Fringe. Here’s an image of the new stuff! Pleased to announce I will be presenting a new and expanded version of Delay at a special event during the Edinburgh Fringe. Delay is part of All These Things a night of performance from Leeds Live Art Bistro. The event takes place on 15 of August and I will post more details soon.